The bank is the cornerstone of any economy across the world. The core function of a bank is to lend money to businesses and to ensure that fiat currency, the currency of paper notes and coins remain valid across the country. In addition, banks also allow ordinary people a safe and secure platform to safeguard their liquid assets such as money and gold. Our company, Alliance Recruitment Agency is one of the leading banking recruitment agencies that provide executive search for banking positions to people and organizations across the globe. Modern banks undertake a plethora of functions. In addition to lending and storing monetary assets, modern banks provide services such as de-materialized accounts for stock trading, international currency exchange and provision of secure vaults for the storage and safekeeping of valuable personal articles. In addition, the advent of the digital economy has changed the operating nature of banks completely, with online banking services and ATMs acting as a virtual front-desk for consumers. As such, there is a huge demand for quality banking professionals and our company is one of the pioneering banking executive search firms for organizations throughout the world. 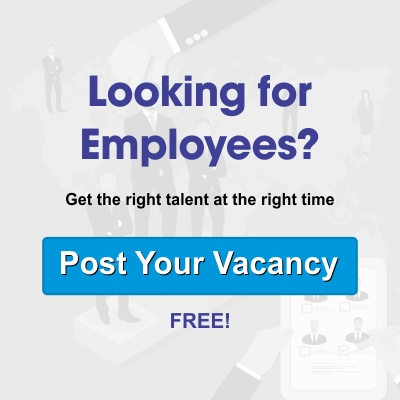 Our company has an experienced group of recruiters who collate, analyse and sort professional profiles based on the demands of their global clientele. We use some of the latest statistical methodologies to select the best banking profiles from a pool of professional resumes to hand-pick the best profile suited for the organization’s exact requirements. This ensures that the best person is selected for the job amongst thousands of profiles leading to client satisfaction. As a leading banking executive recruiter, Alliance works with banks and banking organizations across the world, with clients based in key regions of the United States, the United Kingdom, Dubai and Qatar in the Middle East and the island nation of Singapore. 1. Branch Executives: The bank branch is the consumer-facing aspect of the branch. It was traditionally the only way by which consumers could avail banking services; and even to this day, it is the most common method of accessing banking services worldwide. A branch executive liaisons with the consumer to provide them with services as well as up-sell their banking services to their customers. Alliance provides top-notch banking executive search services to local and global banks across the world. 2. Stock Market Specialists: The stock market is a core part of all modern banking solutions, and there is a huge demand for experienced and agile stock market experts who understand the global financial markets and the way they affect local scenarios. Alliance has accrued a pool of the best stock-market specialists who can deftly manage equity assets of the bank on the stock market. Alliance Recruitment Agency has garnered a reputation for being one of the leading banking executive recruiters for the best and the brightest in the field. 3. Wealth Management Executives: Almost all banks across the world vie for the wealthiest of their clients, and provide them with a plethora of services that are not available to regular customers. These select few are handled by wealth management executives who not only provide them with core banking services, but offer them expert advice and solicitation for various financial instruments. Some of the best wealth management executives are trusted by these high net worth individuals more than the bank they work at, and as such are in very high demand across the world. Alliance has a professional network of some of the very best wealth management executives, and is known worldwide as one of the top-most banking executive search firms for wealth management executives. With the global economy still reeling from the effects of the previous economic slowdown; organizations require the best talent who can lead the banking industry through times of economic uncertainty. Alliance Recruitment Agency builds on that premise to provide organizations with the opportunity to enhance their banking talents tailored to their exact needs. Let us build your core team today!